Most nerds are fairly eclectic in taste, with the only criteria for nerdom being that a work is intelligent and fun. Well, intelligence and fun are relative and I’m not mister stuffy pants sir posh a-lot when it comes to my summer reading list. Reading through all of time and space. I started reading this book in Barnes & Noble one afternoon when I didn’t have the money to purchase it. Fifty pages in, I began to seriously get upset at myself for not picking up a Neil Gaiman book earlier in my time line. He wrote two of my favorite Doctor Who episodes, The Doctor’s Wife (S06E04) and Nightmare in Silver (S07E12) and has the reputation of being one of the premiere nerd-writers of the 21st century. I also follow him on GoodReads and Twitter, which makes me feel cool. 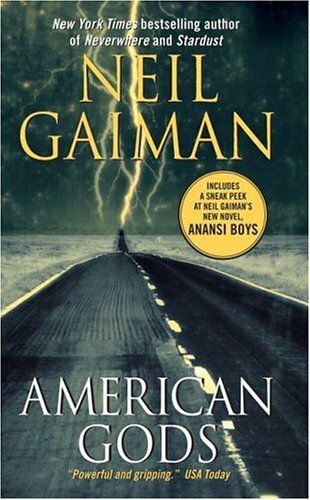 When looking for a Gaiman book, the title of this and the premise intrigued me. A convict who travels across America on a mythical journey? What’s not to love? Although I hate borrowing books because I usually end up keeping them, I’ve vowed to return this to the library when it’s due and then to go out and purchase the $8 paperback at my nearest bookstore. Probably. I Watch Eleven Now. Eleven is Cool.